With the global rise of inequality and conflict and the acute challenges facing the most socially and politically excluded, civil society organisations, charities and development agencies are increasingly concerned with how to effectively broker the knowledge of marginalised communities. Influencing decision makers and institutional practice with evidence requires an explicit focus on power and politics – seeking ways to promote positive change in highly complex policy environments. During this unique learning experience you’ll join other organisations dedicated to social change to explore what we mean by evidence, whose knowledge really counts and how you can more effectively engage policy communities with the lived experiences of those whose voices often go unheard. You’ll acquire conceptually rigorous tools for promoting evidence informed policy and practice and with peer support adapt these to your own organisational context. In addition to your three-days at IDS, the course includes an online learning exchange on 7 November 2019. To equip you with the concepts, skills and competencies required to operate effectively at the interface between policy and evidence. To enable you to design achievable plans to enhance your organisations’ or programmes’ capability to broker knowledge on behalf of marginalised communities and put these to the test. The programme is ideally suited to those leading policy and research in their organisations’ or programmes’ who are seeking to enhance their evidence literacy and policy engagement capacity to become more effective advocates for social change. Whether your key interests relate to: Understanding policy processes in a particular context, delivering evidence-informed policy advocacy, or adapting to fast-changing demands for evidence, we will help you locate your work in relation to the latest trends in knowledge for development. You’ll join an international cohort of policy and evidence innovators from development agencies, charities, social enterprises, research organisations and think tanks to share learning and gain new insights into improving policy processes through better use of evidence. The programme combines seminars delivered by leading international experts, peer learning group work and presentations on key technical areas with plenty of time for critical reflection. Over the three days at IDS you’ll develop a framework for strengthening evidence informed policy and practice focused around specific aspects of evidence literacy and adaptive policy engagement. You’ll then have the opportunity to validate concepts and test approaches in your organisation or sector before re-joining the cohort in April for an online facilitated knowledge exchange event. Re-evaluate your organisations or programme’s use of evidence and theories of change. Adapt to fast-changing policy demands and deploy new tools for understanding how change happens in a particular context. Systematically identify and appraise policy relevant evidence. Frame research for policy and practice and develop coherent evidence informed policy offers. 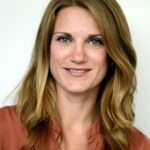 Vivienne is a communications specialist in the IDS Knowledge, Impact and Policy Team. Her expertise ensures IDS research and knowledge reaches the right audiences, enabling the Institute to engage in key policy debates, link different perspectives and build new relationships. She has designed and delivered uptake strategies for a wide range of national and international research programmes. Hannah leads the Communications and Engagement team at IDS which is responsible for the coordination, planning and delivery of cross-institutional policy engagement, corporate communications, publishing and marketing. She has over 10 years of communications and policy engagement experience gained working in, and with, academic institutions, charities, and the public and private sectors. James has worked predominantly in advocacy and policy communications roles over the past 20 years, joining IDS in 2010. Editor of the Social Realities of Knowledge for Development (IDS 2017), he has delivered learning events on policy engagement for researchers and practitioners to many university faculties, research organisations and NGOs in South Asia, Africa, Eastern and Central Europe and the UK. He is also Director of the Impact Initiative for International Development Research. He regularly blogs on research to policy processes. Alan has over 20 years’ experience developing and delivering high quality websites, digital content and publications on a broad range of development and environmental issues. A key theme throughout his work has been promoting open and equitable access to information using digital technologies. He manages Eldis – one of the leading global portals providing access to research on international development. Stephen Thompson is a Post-Doctoral Research Fellow in the Participation, Inclusion and Social Change Cluster. He is an Associate Fellow of the Higher Education Academy. He primarily works on the ‘Inclusion Works’ and ‘Disability Inclusive Development’ programmes, which focus on disability inclusion in low income settings. He has worked for both research institutes and non-government organisations in both Europe and Africa. He completed his doctorate at the Technological University Dublin, as an African Vision Research Institute Post Graduate Student. Stephen previously worked on the ‘Knowledge and Evidence for Development’ programme at IDS, assisting the UK Department for International Development with evidence use and policy creation. Please note that course faciliators my be subject to change. All participants will be expected to join the online knowledge exchange event on 7 Nov 2019. Course fees include lunches and refreshments, an evening group dinner, and course materials. It does not include accommodation. Stage 1: Apply by completing the online application form. Deadline for applications is 10 June 2019. The course code is KM/18012.